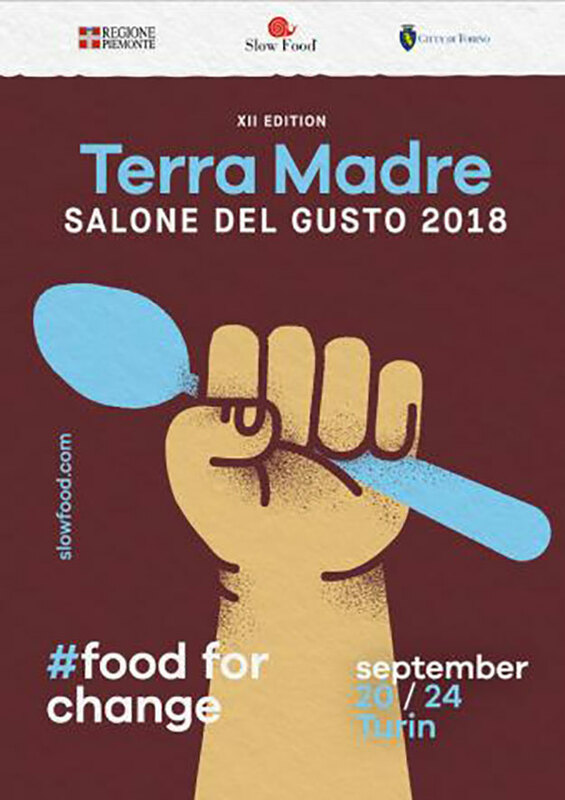 The 12th edition of Terra Madre Salone del Gusto will be held this year from September 20 to 24 in Turin. #FoodforChange is the theme of the 2018 event. Everyone will be asked to reflect on their food choices: what production methods they support, what foods they cook, what they put in their shopping cart. Every day the food we choose brings up many questions, not just relating “simply” to food but also the environment, social justice, economics, politics… Choosing a specific food in a specific place can mean taking sides, not being indifferent towards the planet on which we live and its resources and thinking about the future. Also this year we will need the contribution of you all to make it successful.